It’s an attitude that’s stressing you out, not your commitments. Standards, goals and dreams aren’t bad. They are necessary for an intentional life. The stress we feel doesn’t come from having goals, or wanting to do our best at something. Not at all. The pressure we feel comes from a persistent and destructive attitude: That we are validated by our performance. This attitude runs deep. Many of us struggle to know that we are loved, or that we are accepted for who we are. To fight this fear, some of us have taken up performance as our golden ticket. This was my path. If we work hard enough, we will be valued and included. We do this in relationships, at work, even with God. The problem is that the pressure to perform never lets up. You can’t just perform well once and leave it at that. The very things our soul needs to grow—silence, solitude, reflection—we can’t do because the moment we stop, the clanging demands urge us forward. Time is wasting! Your personal stock price is dropping! Living with this pressure does not make for a good life. It doesn’t make for healthy relationships. It’s a brittle substitute for real spirituality. Try an Inside-Out Attitude Instead. There is another way. If you know that God, the artist, made you, and that your life and future are God’s own artwork, if you know that you were designed with a good and beautiful purpose in mind, then performance is the last thing that matters. Your value is set. Your identity has been given to you. The Bible teaches that external things are the natural and inevitable result of internal things. Your life is much more like a garden than a sculpture. When core internal things are healthy and growing, fruit is the inevitable consequence. Jesus said, in Mathew 12:34 that the mouth speaks from the overflow of the heart. 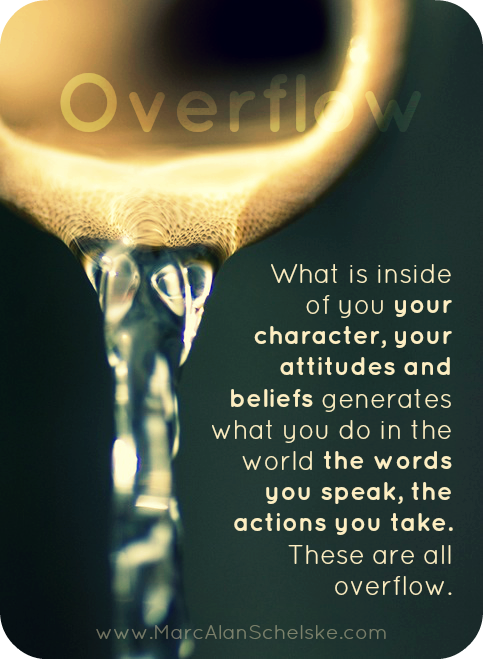 What is inside of you—your character, your attitudes and beliefs—generates what you do in the world—the words you speak, the actions you take, the choices you make. These are all overflow. Practically this has an enormous impact on our focus: Instead of trying to shape an external life that looks a certain way, we can commit to tending to our internal life and simply trust that the external life will follow. This is both a spiritual truth and a practical every-day truth. Jeff Goins is a writer who was recently able to quit his “day job” to write full time. Did this happen because he pretended to be a writer, trying to shape his life externally to look like a writer? No. Jeff’s been writing for years, and for much of that time his writing never took off. What was his turning point? When he decided, in his heart, that he was a writer. He started to attend to his own heart. He faced his insecurities. When he settled with himself that regardless of what people thought, regardless of his own fear, that he was a writer, that’s when his life began to change. Not because he was trying to look like something on the outside, but because he knew who he was on the inside. 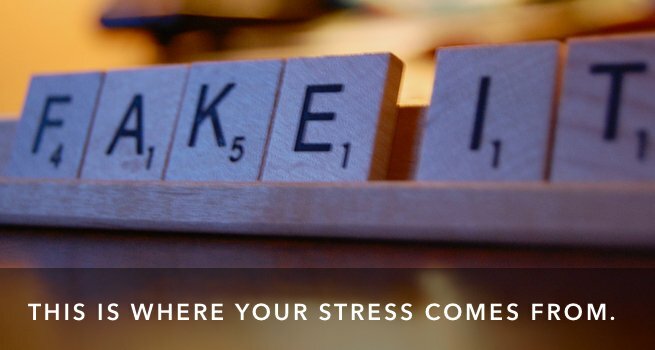 Check Your Stress and Chuck the Performance Anxiety. When we embrace an inside-out perspective, we can relieve the stress that comes from how we perform or how we look. How we look isn’t nearly as important as who we are. And ultimately, how we look will be shaped by who we are on the inside. Do I feel this pressure because I’m trying to live up to someone else’s expectations? Do I feel this stress because I’m failing to look a certain way that I’m committed to (looking right, looking strong, looking competent, looking smart)? Do I feel this anxiety because this issue is bringing my acceptance and belonging into question? 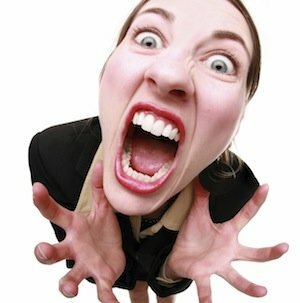 These questions may bring to light that you are bearing unnecessary stress. In that moment remind yourself of the truth: You are God’s artwork, created in Christ Jesus to do good and beautiful things that God has prepared for you to do. Your value was set by the price God paid for you on the cross. Your identity is secure in Christ. With that truth in your heart, you can let go of stress and anxiety that’s tied to your performance. Share your thoughts: What anxiety are you feeling today that has its roots in your performance or appearance?